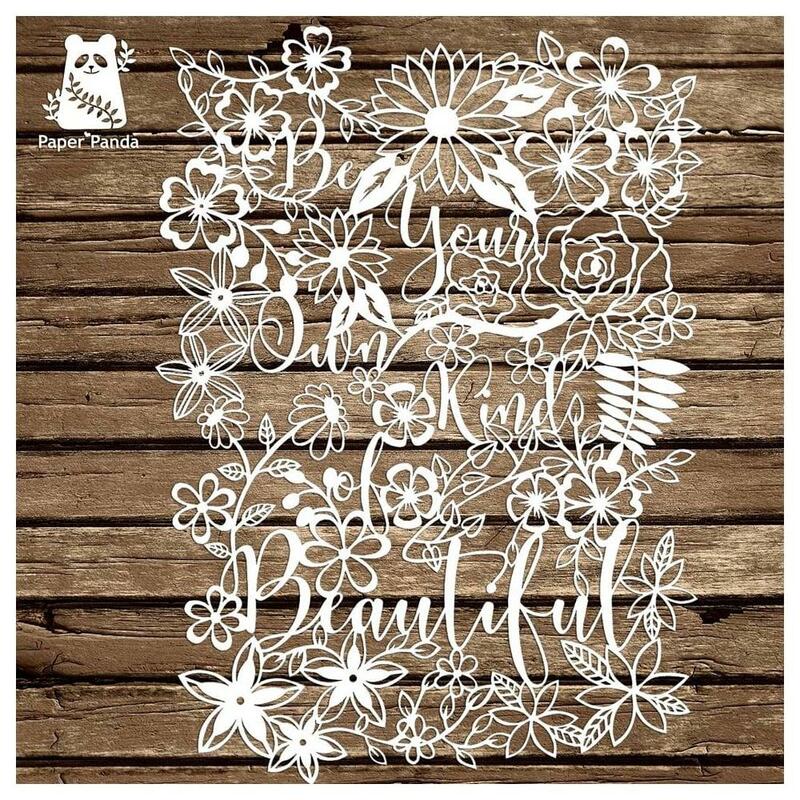 Beautiful inspirational quote surrounded by hand drawn florals. This piece looks wonderful over a brightly coloured backing, or be adventurous and add a splash of colour behind the flowers for a real statement piece. I would recommend this for intermediate cutters, although don’t be afraid to give it a try, the flowers are very forgiving if you miss the line slightly. Design made by Louisa, who likes glitter and unicorns.